Murrieta Genomics will showcase SeqOnce’s technology and products in its incubator facility, providing information and demonstrations to potential customers. Murrieta Genomics will also assist SeqOnce with product development by testing and using its products in the Murrieta laboratory. As an innovation center and idea incubator, we are always looking for new applications in the genomic sequencing space. 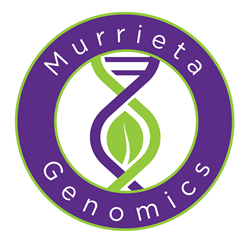 Murrieta Genomics, the genomic sequencing business incubator and SeqOnce, an emerging leader in the rapidly growing NGS (Next Generation Sequencing) field, have announced a partnership to bring fast and simple sample solutions for the Murrieta Genomics laboratory and incubator. "As an innovation center and idea incubator, we are always looking for new applications in the genomic sequencing space and the RhinoSeq™ kits from SeqOnce have huge promise,” stated Brandon Young, a co-founder of Murrieta Genomics and the company’s Director of Laboratory Operations. “RhinoSeq is a remarkably fast and easy-to-use product for library preparation that will disrupt the growing NGS market. We see Rhinoseq reducing library construction time from a multi-hour process to less than 45 minutes, producing consistently excellent results across a wide range of sample types and inputs. We are excited to team with SeqOnce to develop, showcase and demonstrate their libraries to our growing base of customers and incubator companies." Under the agreement, Murrieta Genomics will showcase SeqOnce’s technology and products in the incubator facility, providing information and demonstrations to potential customers. Murrieta Genomics will also assist SeqOnce with product development by testing and using its products in the Murrieta laboratory. The fact that Murrieta Genomics will be sequencing genetic material from diverse sources across multiple applications was a plus for SeqOnce. “We really like that Murrieta Genomics accesses and advances a broad range of genomic sequencing technologies, as this approach fits perfectly with our concept of developing robust sample preparation libraries,” Angermayer concluded.